For more than 2,500 years, the religion we know today as Buddhism has been the primary inspiration behind many successful civilizations, a source of great cultural achievements, and a lasting and meaningful guide to the very purpose of life for millions of people. Today, large numbers of men and women from diverse backgrounds throughout the world are following the Teachings of the Buddha. So who was the Buddha and what are his teachings? 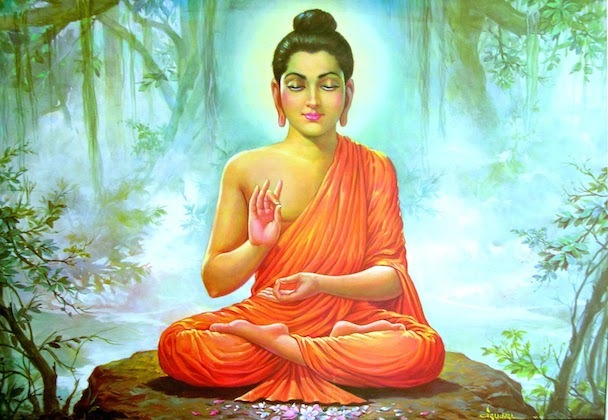 The Buddha: The man who was to become the Buddha was born Siddhattha Gotama around 2,600 years ago as a prince of a small territory near what is now the Indian-Nepalese border. Though he was raised in splendid comfort, enjoying aristocratic status, no amount of material pleasure could conceal life’s imperfections from the unusually inquisitive young man. At the age of 29 he left wealth and family to search for a deeper meaning in the secluded forests and remote mountains of Northeast India. He studied under the wisest religious teachers and philosophers of his time, learning all they had to offer, but they could not provide the answers he was seeking. 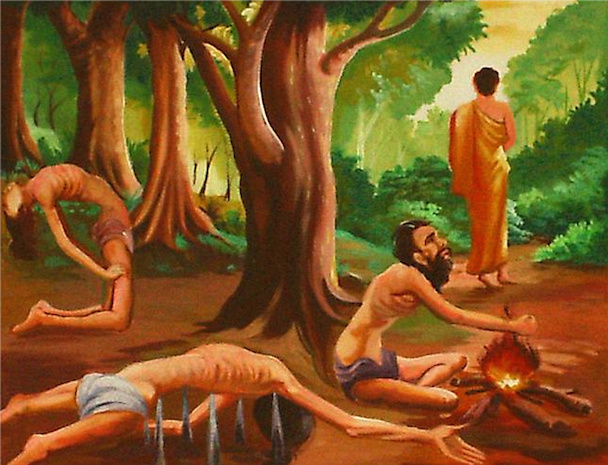 He then struggled with the path of self-mortification, taking that practice to the extremes of asceticism, but still to no avail.what-is-buddhism Then at the age of 35, on the full moon night of May, he sat beneath the branches of what is now known as the Bodhi Tree, in a secluded grove by the banks of the river Neranjara, and developed his mind in deep and luminous, tranquil meditation. Using the extraordinary clarity of such a mind, with its sharp penetrative power generated by states of deep inner stillness, he turned his attention to investigate the truth of mind, universe and life. 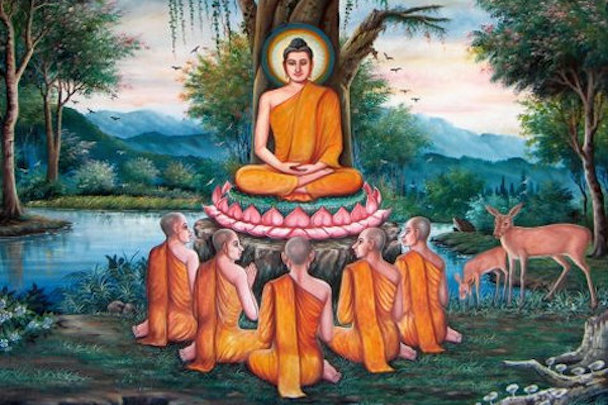 Thus he gained the Supreme Enlightenment experience and from then on he was known as the Buddha, the Awakened One. 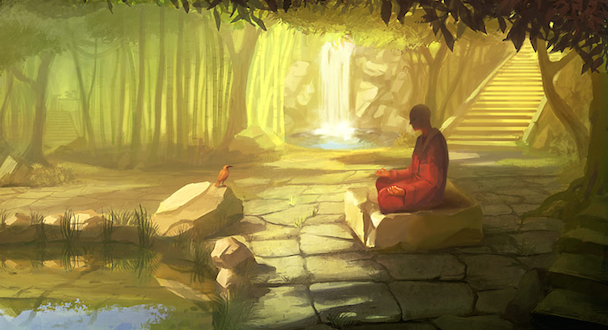 His Enlightenment consisted of the most profound and all-embracing insight into the nature of mind and all phenomena. This Enlightenment was not a revelation from some divine being, but a discovery made by himself based on the deepest levels of meditation and the clearest experience of mind. It meant that he was free from the shackles of craving, ill-will and delusion, that all forms of inner suffering had been eliminated and that he had acquired unshakeable peace. Having realised the goal of Perfect Enlightenment, the Buddha spent the next 45 years teaching a path which, when diligently followed, will take anyone regardless of race, class or gender to the same Perfect Enlightenment. The teachings about this path are called the Dhamma, literally meaning the nature of all things or the truth underlying existence. It is beyond the scope of this pamphlet to present a thorough description of all these teachings, but the following seven topics will give you an overview of what the Buddha taught. 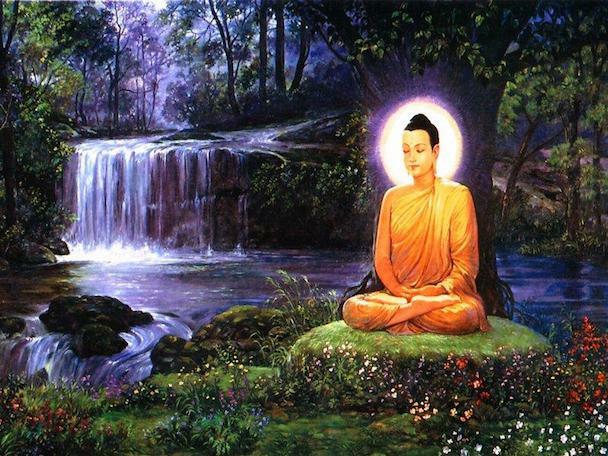 The Buddha warned strongly against blind faith and encouraged the way of truthful inquiry. He pointed out the danger in fashioning one’s beliefs merely on the following grounds: hearsay, tradition, because many others say it is so, the authority of ancient scriptures, the word of a supernatural being or out of trust in one’s teachers, elders or priests. Instead one maintains an open mind and thoroughly investigates one’s own experience of life. When one sees for oneself that a particular view agrees with both experience and reason and leads to the happiness of one and all, then one should accept that view and live up to it! This principle of course also applies to the Buddha’s own teachings. They should be considered and inquired into using the mental clarity born of meditation. As one’s meditation deepens, one eventually sees these teachings for oneself with insight, and only then do they become one’s own truth that give blissful liberation. The traveller on the way of inquiry needs to be tolerant. Tolerance does not mean that one embraces every idea or view but that one doesn’t get angry at what one can’t accept. Further along the journey what one initially disagreed with might be seen to be true. So in the spirit of tolerant inquiry, here are some of the Buddha’s basic teachings. - All beings, human and otherwise, are afflicted with all sorts of disappointments, sadness, discomfort, anxiety etc. In short they are subject to suffering. - The cause of this suffering is craving, born of the illusion of a ‘soul’. - Suffering has a final end in the experience of Enlightenment (Nibbana) which is the complete letting go of the illusion of ‘soul’ and the consequent ending of craving and ill will. - This peaceful and blissful Enlightenment is achieved through a gradual training, a path called the Middle Way, or the Eightfold Path. It would be mistaken to label this teaching as ‘pessimistic’ on the grounds that it begins by focusing on suffering. Rather, Buddhism is ‘realistic’ in that it unflinchingly faces up to the truth of life’s many sufferings, and it is ‘optimistic’ in that it shows a final end to the problem: Nibbana – Enlightenment in this very life! Those who have achieved this ultimate peace are inspiring examples who demonstrate once and for all that Buddhism is far from pessimistic but is a path to true happiness. - Drinking alcohol and taking stupefying drugs which lead to a weakening of mindfulness and moral judgement. Right Effort, Mindfulness and Concentration refer to the practice of meditation, which purifies the mind through the experience of blissful states of inner stillness and empowers the mind to penetrate the meaning of life through profound moments of insight. Right Understanding and Thought are the manifestations of Buddha-Wisdom which ends all suffering, transforms the personality and produces unshakeable serenity and tireless compassion. According to the Buddha, without perfecting the practice of virtue it is impossible to perfect meditation, and without perfecting meditation it is impossible to arrive at Enlightenment Wisdom. Thus the Buddhist path is a gradual one, a middle way consisting of virtue, meditation and wisdom, explained in the Eightfold Path and leading to happiness and liberation. Kamma means ‘action’. According to the law of kamma there are inescapable results of our intentional actions. There are deeds of body, speech and mind that lead to one’s own harm, to others’ harm, or to the harm of both. Such deeds are called bad or unwholesome kamma. They are motivated by craving, ill will or delusion, and because they bring painful results they should not be done. There are also deeds of body, speech and mind that lead to one’s own well-being, to the well-being of others, or to the well-being of both. Such deeds are called good or wholesome kamma. They are motivated by generosity, compassion or wisdom, and because they bring pleasant results they should be done as often as possible. Much of what one experiences is the result of one’s own previous kamma. Thus when misfortune occurs, instead of blaming someone else, one can look for faults in one’s own past conduct. If a fault is found, the experience of its consequences will make one more careful in the future. When happiness occurs, instead of taking it for granted, one can look for the past good kamma which caused it. If one can find such a cause, the experience of its pleasant results will encourage more good kamma in the future. The Buddha pointed out that no being whatsoever, divine or otherwise, has the power to stop the consequences of good and bad kamma. The fact that one reaps just what one sows gives the Buddhist a powerful incentive to avoid all forms of bad kamma and do as much good kamma as possible. Though one cannot escape the results of bad kamma one can lessen their severity. A spoon of salt mixed in a glass of water makes the whole glass very salty, whereas the same spoon of salt mixed in a freshwater lake hardly changes the taste of the water at all. Similarly, the results of bad kamma in a person habitually doing only a small amount of good is painful indeed, whereas the result of the same bad kamma in a person habitually doing a great deal of good is only felt mildly. This natural law of kamma thus becomes the force behind, and the reason for, the Buddhist practice of morality and compassion in our society. The Buddha clearly remembered many of his past lives. Even today many Buddhist monks and nuns, and others also, remember their past lives. Such a strong memory is a result of deep meditation. For those who remember their past lives rebirth becomes an established fact which puts this life in a meaningful perspective. The law of kamma can only be understood in the framework of many lifetimes because it sometimes takes this long for kamma to bear its fruit. Thus kamma and rebirth offer a plausible explanation to the obvious inequalities of birth – why some are born into great wealth whereas others are born into pathetic poverty; why some children enter this world healthy and full-limbed whereas others enter it deformed and diseased. The painful results of bad kamma should not be regarded as punishment for evil deeds but as lessons from which to learn. For example, how much better to learn about the need for generosity than to be reborn among the poor! Rebirth takes place not only within the human realm. The Buddha pointed out that the realm of human beings is but one among many. There are many separate heavenly realms and grim lower realms too, including the realm of animals and the realm of ghosts. Not only can we go to any of these realms in our next life, but we may have come from any of these realms into our present life. This explains a common objection against rebirth: “How can there be rebirth when there are 10 times as many people alive today as there were a century ago?” The answer is that people alive today have come from many different realms. Understanding that we come and go between different realms, gives us more respect and compassion for the beings in these realms. It is unlikely, for example, that one would exploit animals when one has seen the link of rebirth that connects them with us. The Buddha also pointed out that no God or priest nor any other kind of being has the power to interfere in the working out of someone else’s kamma. Buddhism, therefore, teaches individuals to take full responsibility for themselves. For example, if you want to be wealthy then be generous, trustworthy and diligent, and if you want to live in a heavenly realm then always be kind to others. There is no God to ask favours from, or to put it another way, there is no corruption possible in the workings of the law of kamma. 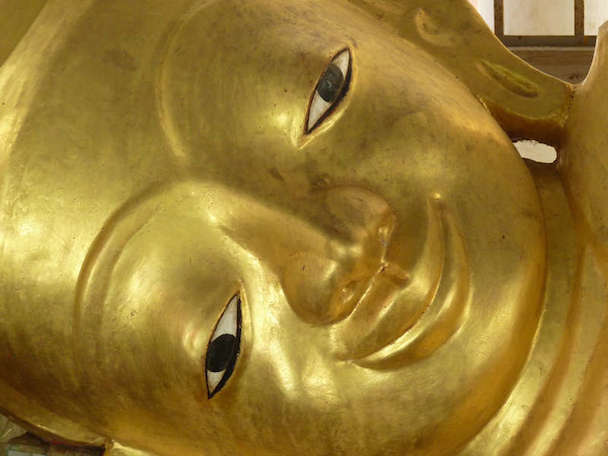 Do Buddhists believe that a Supreme Being created the universe? Buddhists would first ask which universe you mean. This present universe, from the moment of the ‘big bang’ up to now, is but one among a countless number in Buddhist cosmology. When one universe cycle ends another begins, again and again, according to impersonal law and without discoverable beginning. A Creator God is redundant in this scheme. No being is a Supreme Saviour, because gods, humans, animals and all other beings are subject to the law of kamma. Even the Buddha had no power to save – he could only point out the truth for the wise to see for themselves. Everyone must take responsibility for their own future well-being, and it is dangerous to give that responsibility to anyone else. The Buddha taught that there is no ‘soul’, no essential and permanent core to a living being. Instead, that which we call a ‘living being’, human or otherwise, can be seen to be but a temporary coming-together of many parts and activities – when complete it is called a ‘living being’, but when the parts have separated and the activities have ceased it is not called a ‘living being’ anymore. Like a computer assembled of many parts and activities, only when it is complete and performs coherent tasks is it called a ‘computer’, but when the computer is taken apart and the activities cease it is no longer called a ‘computer’. No essential and permanent core can be found which we can truly call the ‘computer’, and just so no essential and permanent core can be found in a living being which we can call the ‘soul’. Yet rebirth still occurs without a ‘soul’. Consider this simile: on a Buddhist shrine a candle is burnt low and is about to go out. 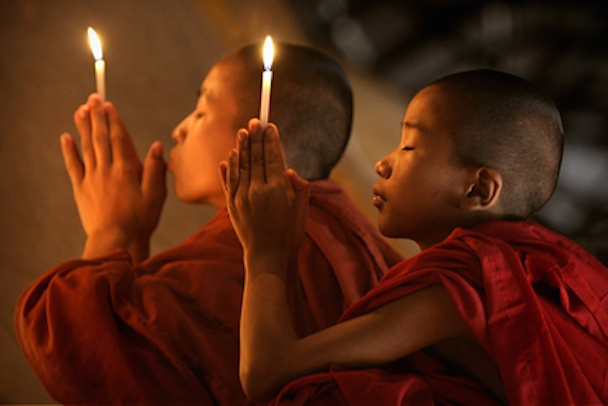 A monk takes a new candle and lights it from the old one. The old candle goes out but the new candle burns bright. What went across form the old candle to the new one? There was a causal link but no ‘thing’ went across! In the same way, there was a causal link between your previous life and your present life, but no ‘soul’ went across. Indeed, the illusion of a ‘soul’ is said by the Buddha to be the root cause of all human suffering. The illusion of ‘soul’ manifests as the ‘ego’. The natural unstoppable function of the ego is to control. Big egos want to control the world, average egos try to control their immediate surroundings of home, family and workplace, and all egos strive to control what they take to be their own body and mind. Such control manifests as desire and aversion, and it results in a lack of both inner peace and outer harmony. It is this ego that seeks to acquire possessions, manipulate others and exploit the environment. Its aim is its own happiness but it invariably produces suffering. It craves for satisfaction but experiences discontent. Such deep-rooted suffering cannot come to an end until one sees, through insight based on deep and powerful meditation, that the idea of ‘me and mine’ is no more than a mirage. 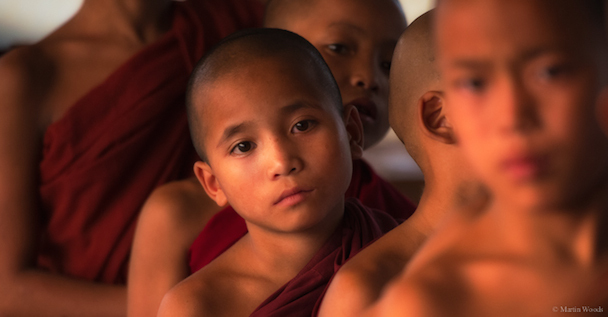 These seven topics are a sample of what the Buddha taught. Now, to complete this brief sketch of Buddhism, let’s look at how these teachings are practised today. One could say that there is only one type of Buddhism and that is the huge collection of teachings originally given by the Buddha. These teachings are found in the Pali Canon, the ancient scriptures of Theravada Buddhism, widely accepted as the oldest and most reliable record of the Buddha’s word. 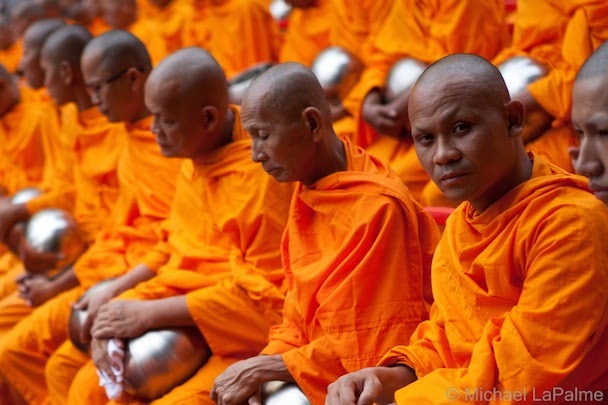 Theravada Buddhism is the dominant religion in Thailand, Myanmar, Sri Lanka, Cambodia and Laos. 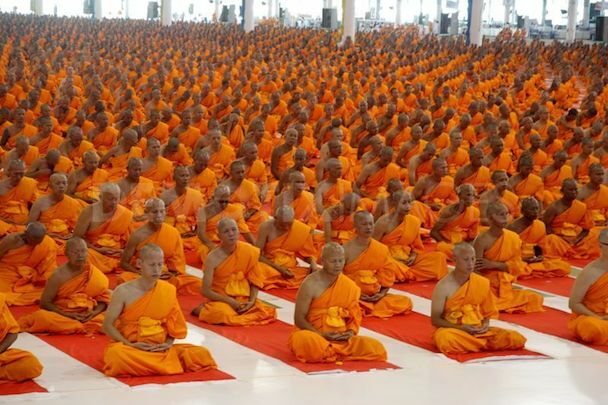 Between 100 and 200 years after the passing away of the Buddha, the Sangha (the monastic community) split over the question, apparently, of who has influence in Sangha affairs. A controversy over some monastic rules had been decided by a committee of mostly Arahants (fully Enlightened monks or nuns) against the views of the majority. The overruled majority were not reconciled to this decision and they probably viewed the Arahants as excessively influential. The disaffected monks subsequently lowered the exalted status of the Arahant and eventually raised in its place the ideal of the Bodhisattva (an unenlightened being said to be in training to become a Buddha). 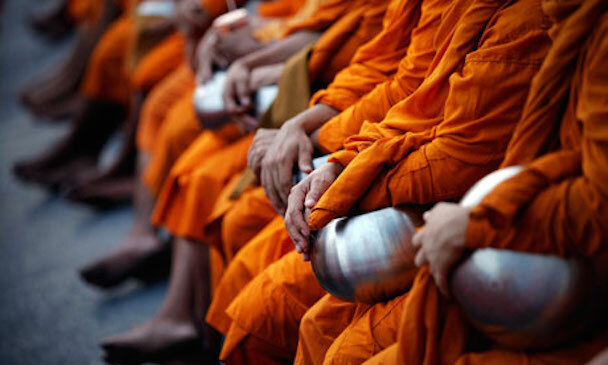 This group of monks and nuns was first known as the ‘Maha Sangha’, meaning the ‘great (part of the) monastic community’. After centuries of development, previously unknown scriptures appeared, attempting to give a philosophical justification to the superiority of the Bodhisattva over the Arahant. The adherents to these new scriptures called themselves the ‘Mahayana’. Mahayana retained most of the original teachings of the Buddha (in the Chinese scriptures these are known as the ‘Agama’), but these core teachings were mostly overwhelmed by layers of expansive interpretations and new ideas. The Buddhism which established itself in China, and which is still vibrant in Taiwan, reflects the earlier development of Mahayana. 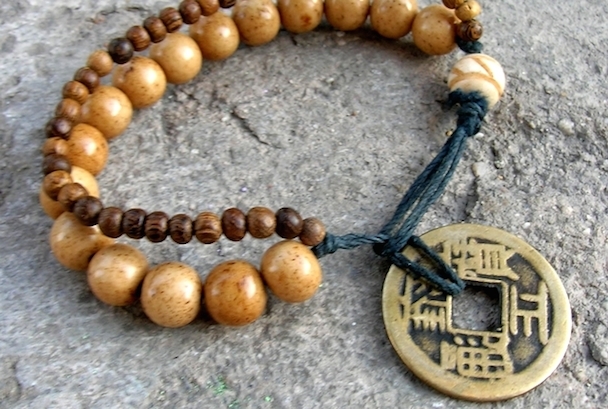 From China Mahayana spread to Vietnam, Korea and Japan, one result of which was the emergence of Zen. The Buddhism in Tibet and Mongolia is a still later development, usually referred to as ‘Vajrayana’.